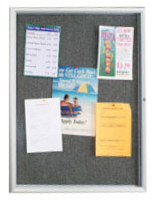 This cork tackboard for school use provides a message display area that is 24” x 36’ to consolidate scheduling announcements, artwork, and other notices of interest to the public. 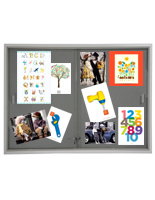 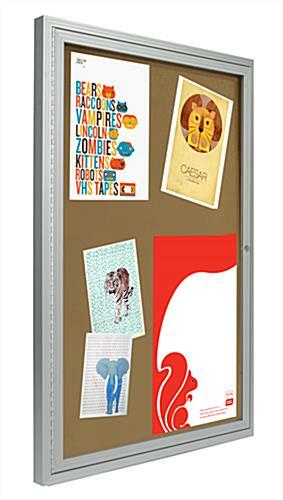 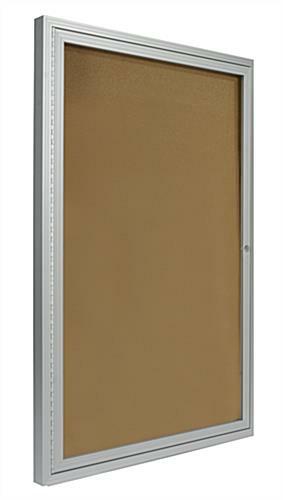 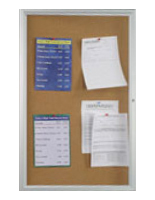 Tack notes or post precious images knowing they will stay secure behind the locking swingframe door, even when placed in high-traffic areas. 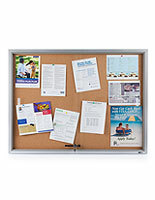 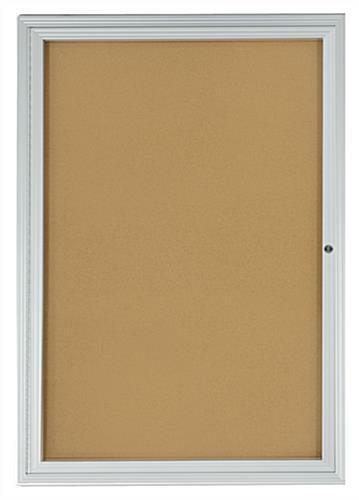 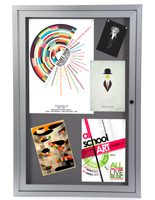 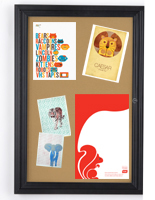 This cork tackboard that is a bulletin display can be easily mounted to the wall with the included hardware. 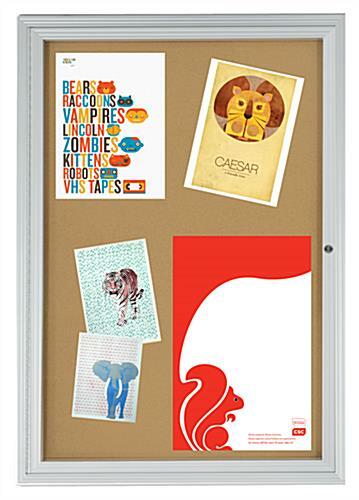 The reusable tack surface always looks great no matter how many times you pin notes to it! 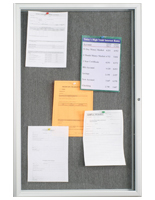 This cork tackboard for notices is typically seen in the lobby of a hotel, library, office building, or school gym or hallway. 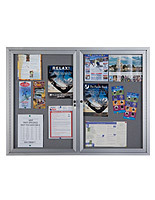 This locking fixture has a slim profile and it’s designed to be updated frequently without any hassle!